This is just a small selection of ivory wedding invitations to give you some ideas – the majority of our wedding invitations on the main page are available with ribbon to match your colour scheme. 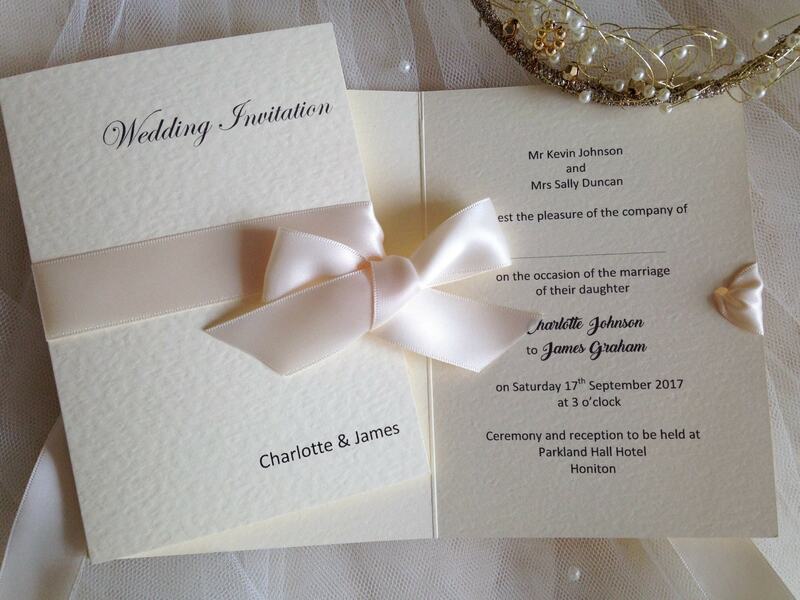 Beautifully traditional, ivory is a fantastic choice for wedding colour scheme because of its versatility. It’s ideal for any season, and can be paired with most colours. 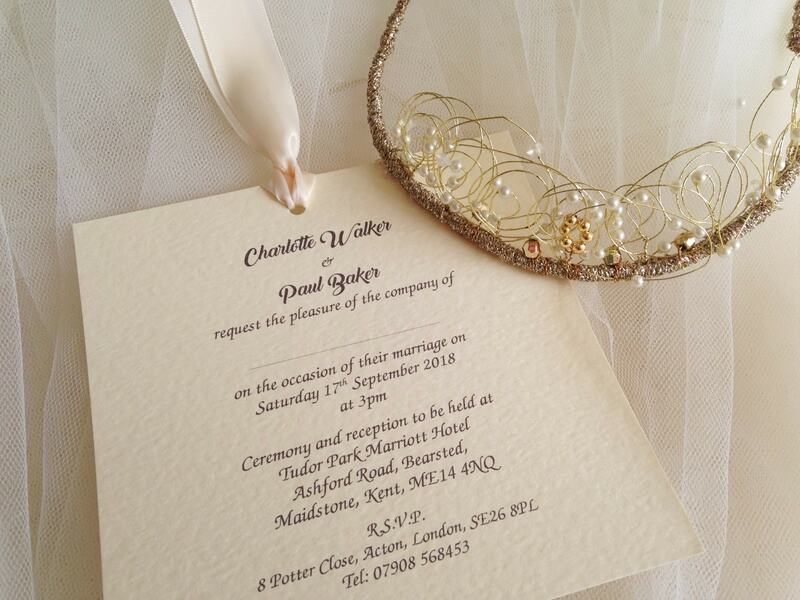 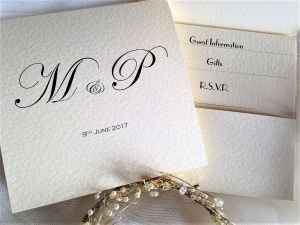 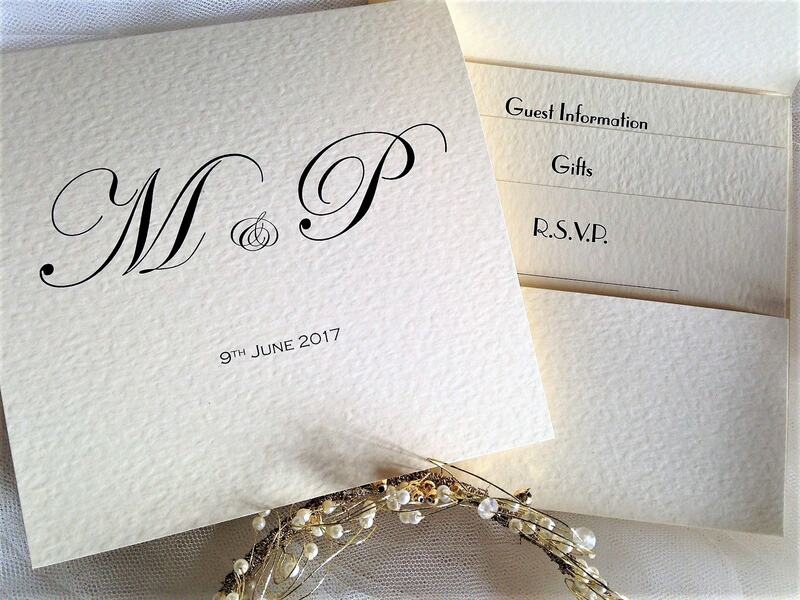 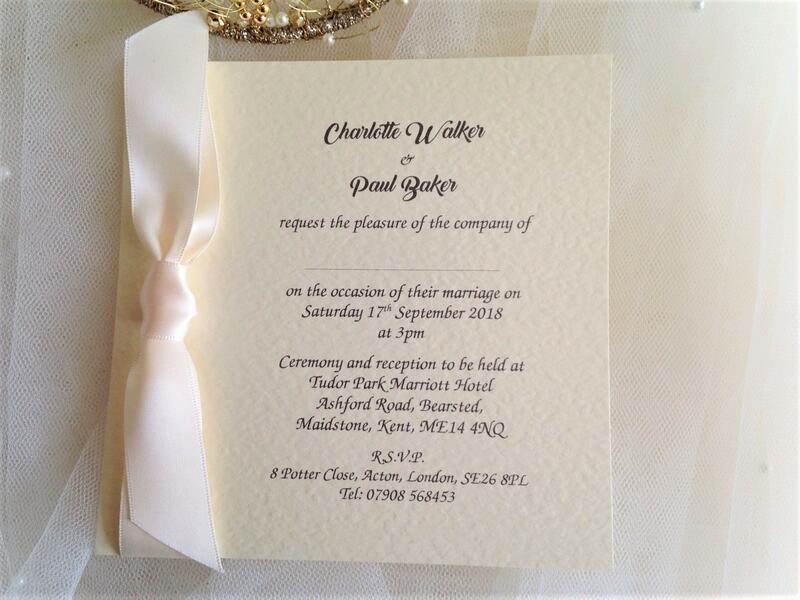 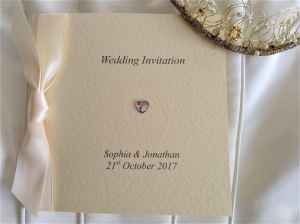 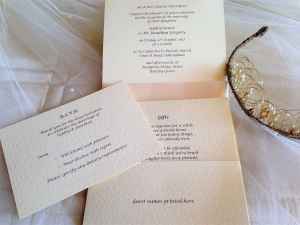 The majority of our wedding invitations and wedding stationery can be ordered on ivory hammered card and we stock ivory ribbon in both satin and organza. 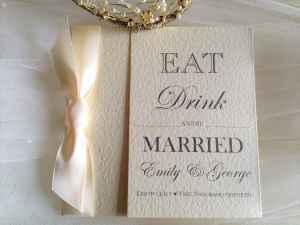 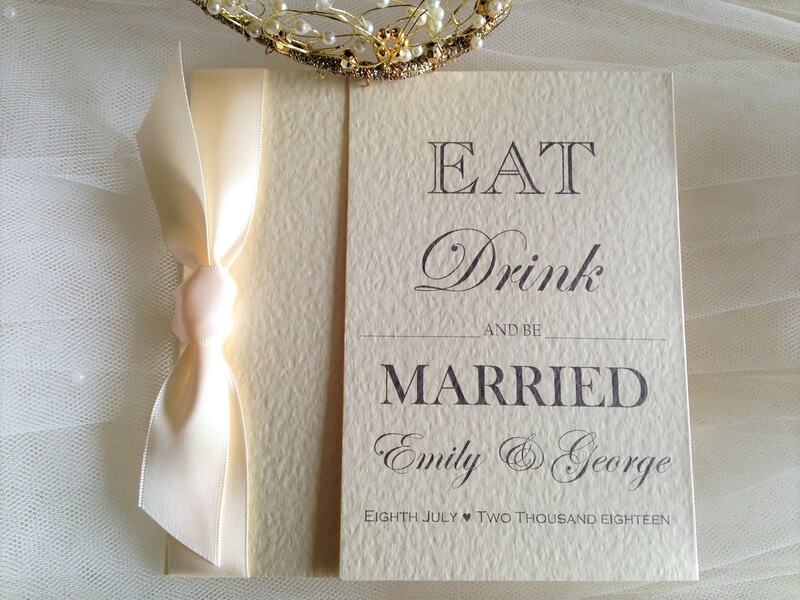 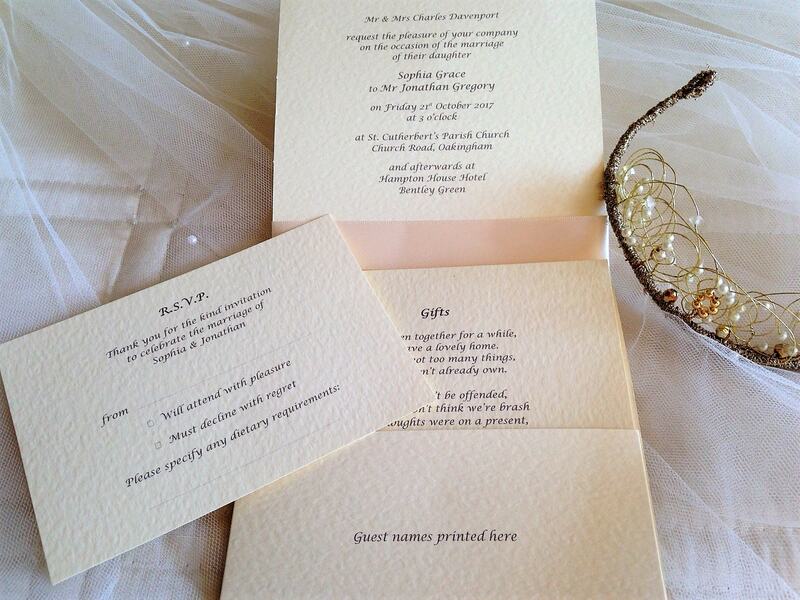 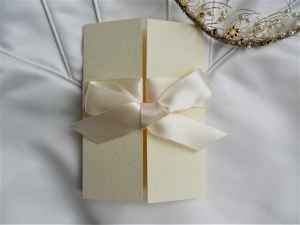 Order your ivory wedding invitations today.